It's common to find markdowns on big-ticket home items like mattresses, couches and accent chairs, but decorative items like throw pillows can be ― and stay ― pretty pricey. Luckily, the affordable home decor experts at Joss and Main are having an Outdoor Kickoff Sale, which means big savings on planters and patio sets ― plus plenty of indoor home decor, including throw pillows. If you're looking for an easy spring refresh that won't cost much time or money, throw pillows are an easy way to update any room in your home overnight. 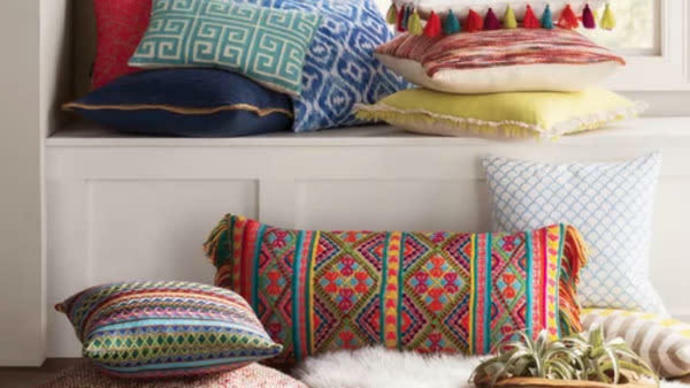 To help you bury your bed in fuzzy pillows and cover your couch with cute cushions, we've rounded up 20 throw pillows that you can get on sale for under $25 at Joss and Main right now.